Mooncakes made with less sugar as well as those inspired by local flavours are taking centre stage for this year's Mid-Autumn Festival, which falls on Sept 24. 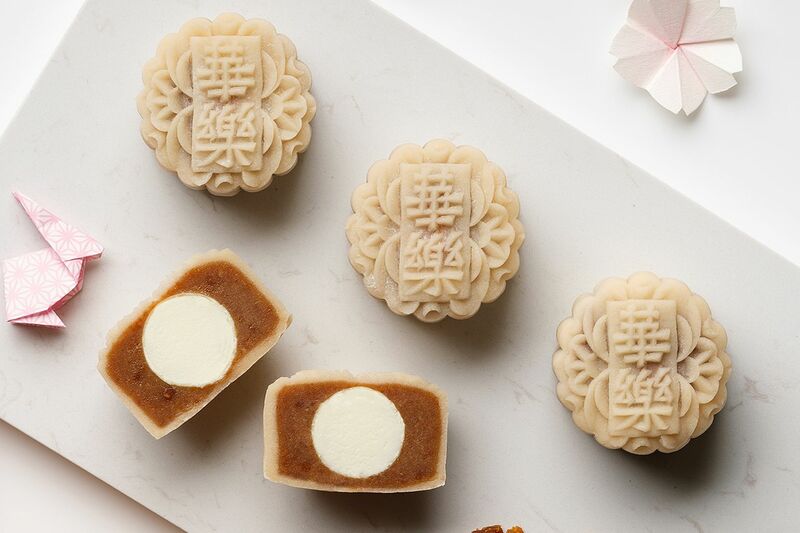 More hotels, restaurants and bakeries are offering low-sugar mooncakes in response to customers who want healthier options. For the first time, the TungLok Group is offering a range of mooncakes in nine flavours that has been given the thumbs up by the Health Promotion Board for being a source of dietary fibre and having a lower sugar content. 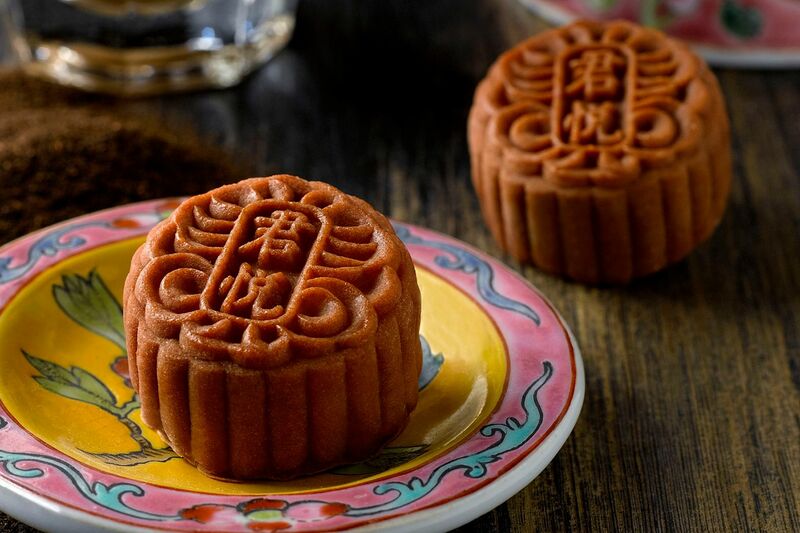 The mooncakes are made with allulose, a low-calorie and low-glycaemic-index sugar found naturally in fruit, and are also lower in saturated fat. Mr Andrew Tjioe, 60, president and chief executive of TungLok Group, says: "Over the years, we have noticed a shift in consumers' preference to eating healthy. 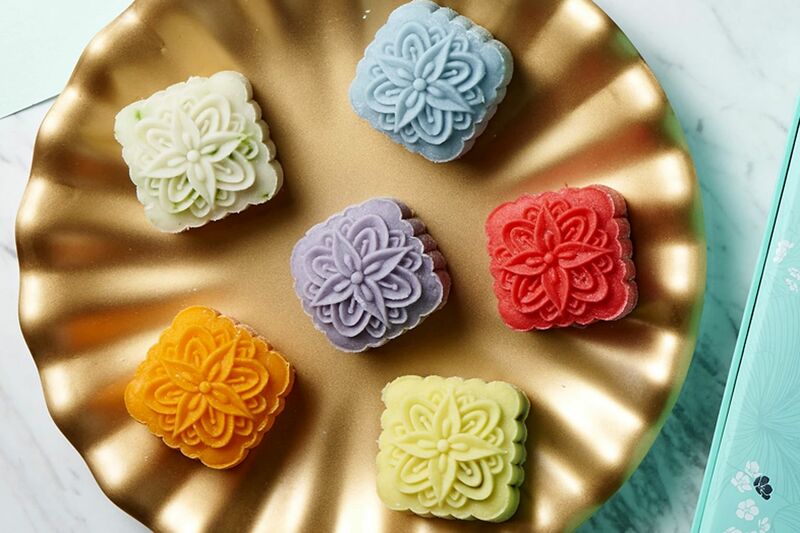 Being the largest manufacturer of mooncakes in Singapore, we have committed to producing mooncakes that are lower in sugar content and are a source of dietary fibre." 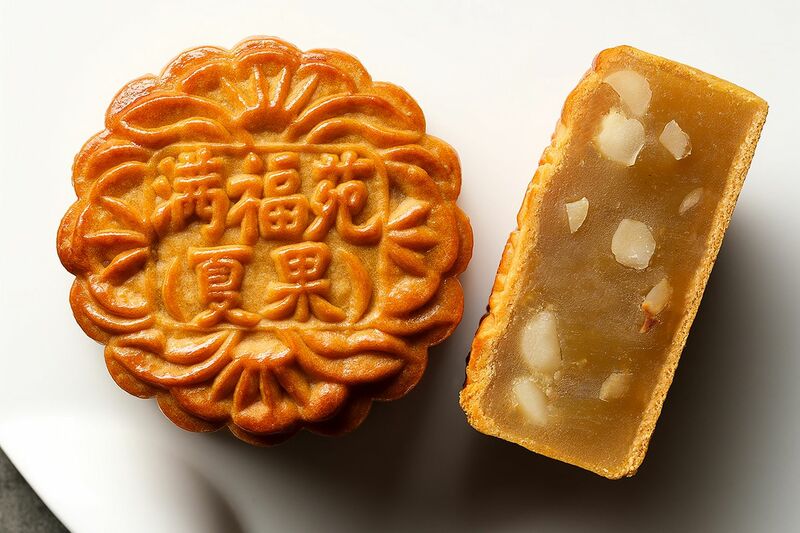 Ms Linda Loke, 44, director of restaurants, bars & events at Si Chuan Dou Hua, says it began offering low-sugar mooncakes in response to demand from health-conscious consumers. She adds: "We sell only traditional mooncakes and notice that many of our customers buy our mooncakes as gifts for their parents. 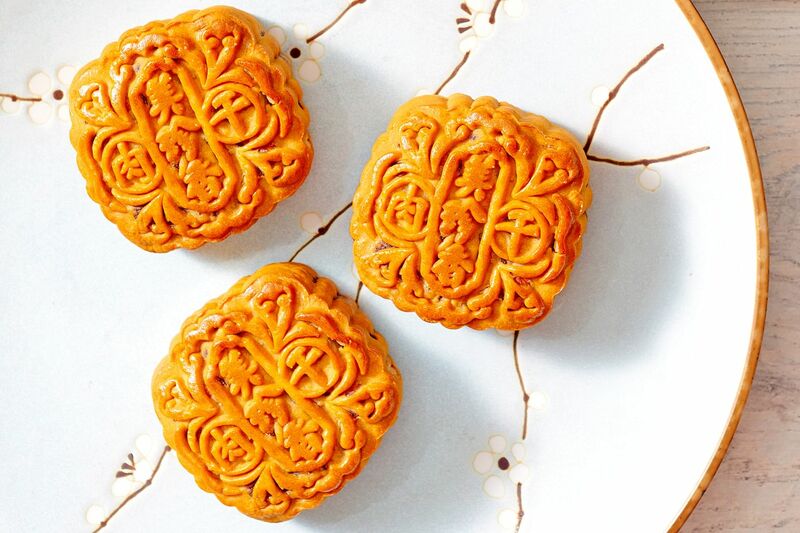 A low-sugar mooncake makes a thoughtful gift." Selling low-sugar mooncakes is not new to bakery Delcie's Desserts and Cakes in Whampoa West, which sells diabetic-friendly cakes. It came up with low-sugar mooncakes in 2011. 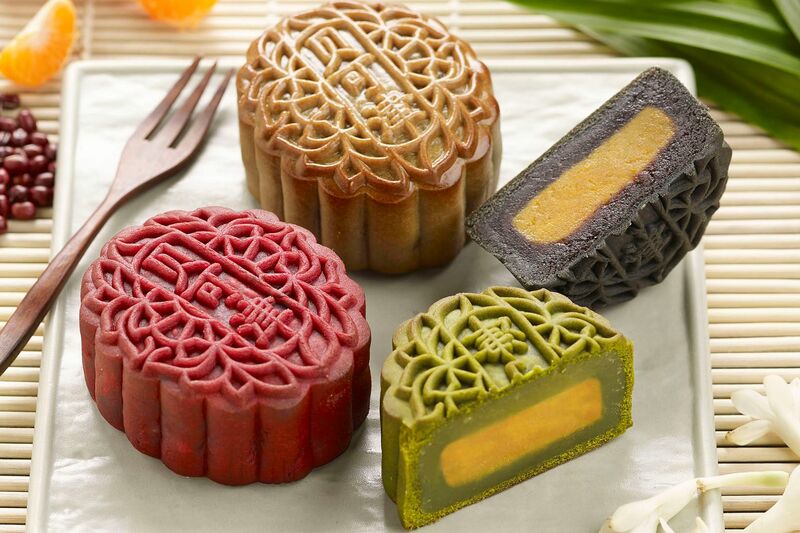 Owner-chef Delcie Lam, 34, uses maltitol, a sugar alcohol, to make three flavours of traditional mooncakes suitable for vegetarians - white lotus with black sesame filling, pandan lotus paste with salted mung bean filling, and white lotus paste with salted mung bean filling. She also has a traditional baked mooncake with a red bean paste filling that is made using stevia, a sugar substitute that comes from a plant, as a sweetener. She observes that in the past three years, customers seem to prefer lower levels of sweetness. Madam Emily Low, 52, who owns an eatery selling pork rib soup, is a huge fan of low-sugar mooncakes and orders up to 10 boxes yearly from Delcie's Desserts and Cakes to give to relatives and friends. She says in Mandarin: "In the beginning, I was prepared to accept that healthy options mean sacrificing on taste. But I find that with the lower level of sweetness, I can taste more of the other ingredients in the mooncake. "My elderly aunts are also touched that I give them low-sugar mooncakes in consideration of their health." Orchard Hotel's general manager Byron Chong, 47, says one in five customers inquired about low-sugar mooncakes at its kiosk at the hotel lobby last year. The hotel's Cantonese restaurant, Hua Ting, first launched two low-sugar mooncakes in 2016. 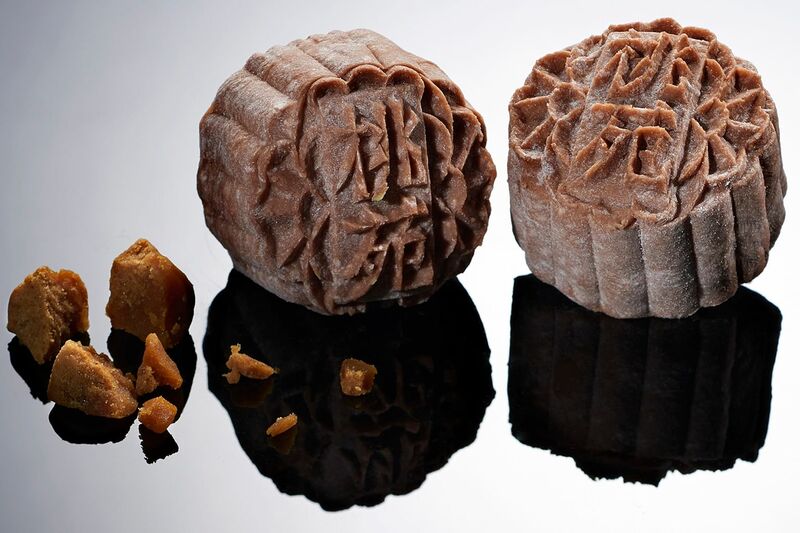 This year, all three variations of its lotus paste traditional baked mooncakes are made with less sugar. Two flavours from its snowskin range, salted egg custard and blueberry with vintage hua diao wine, are also low-sugar. Peach Garden, which has been selling mooncakes since 2003, started offering reduced-sugar mooncakes last year. These are made with less than 60 per cent of the sugar used for its regular mooncakes in previous years. Director of sales and marketing at Peach Garden, Mr Ho Toon Chian, 51, also sees more sellers using healthier ingredients such as fruit and nuts in their mooncakes this year. One of Peach Garden's new offerings is its mini snowskin white lotus paste with cranberry and roselle. On the market are also traditional and snowskin mooncakes, which incorporate popular local ingredients such as pandan, gula melaka and chempedak. Andaz Singapore, which opened at Duo Tower last November, is making its first foray into the mooncake market with an Andaz Baked Mooncake Quartet, created by executive chef Soren Lascelles, 38. It comprises low-sugar pandan, low-sugar white lotus paste with single yolk, low-sugar green tea lotus paste and mixed nuts (wu ren) mooncakes. Chef Lascelles says he drew inspiration from Singapore's rich food culture and Chinese heritage to create the mooncakes. "Pandan is a flavour and ingredient found in a lot of Singapore dishes, from pandan chiffon cake to chicken rice, so we knew we had to create a flavour that celebrates this unique tropical plant," he adds. Bakerzin has low-sugar mooncakes in bold colours that come from fruit juices. These include its striking red beetroot gula melaka mooncake from its Royal Collection. Its mooncakes also feature healthier ingredients such as chia seeds. At Caffe Pralet by Creative Culinaire in Eng Hoon Street, head chef Timothy Chia, 26, was inspired by the Peranakan roots of his mother, director and executive chef Judy Neo, 55. His kueh salat mooncake is inspired by the Nyonya kueh he grew up eating at home. He also has a chempedak black sesame mooncake. 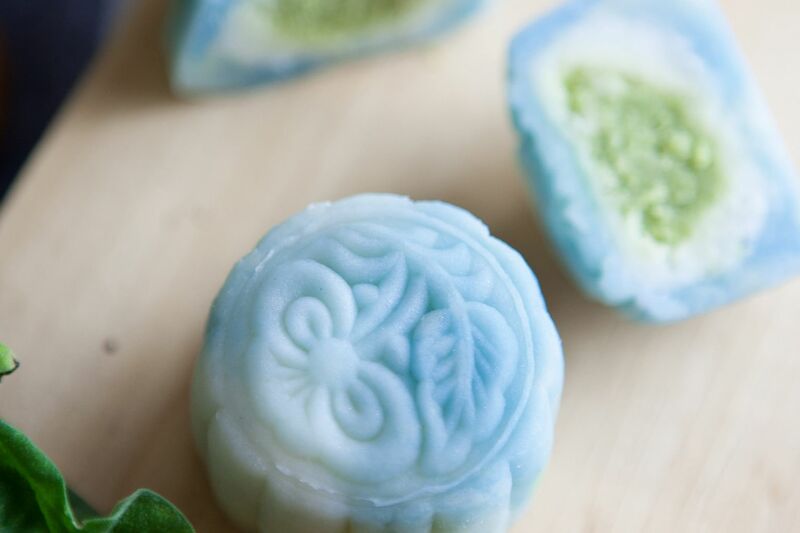 Both mother and son make their mooncakes using natural colouring extracted from plants. Chef Chia says: "People are seeking newer, more dynamic and complex flavours and food-and-beverage places have to keep up with the trend." Not everyone is attracted to these new creations. Ms Kellie Ng, 47, a sales consultant, says that while she likes low-sugar options, newfangled flavours do not entice her. "I tried pandan snowskin mooncakes, but I still prefer the traditional ones." What/Price: Salted Yolk Hae Bee Hiam, done in the traditional baked form, has a salted egg yolk centre and housemade hae bee hiam encased within creamy low-sugar white lotus paste with pumpkin seeds ($60 before GST for a box of four). What: The Decadent Collection includes the kueh salat snowskin mooncake, which has natural colouring extracted from the blue pea flower and the aroma of grated coconut and kaya. Look out for the Contemporary Collection , which includes chempedak black sesame, made with chempedak custard encased in black sesame marbled skin. What: The Tea Collection of snowskin mooncakes includes black sesame with osmanthus tea chocolate truffle, green tea with white chocolate truffle, earl grey with strawberry chocolate truffle and the low-sugar white lotus paste with mandarin peel tea chocolate truffle. What: New flavours include Acai Berry Truffle and Teh Tarik And Chocolate Truffle snowskin mooncakes. The Acai Berry Truffle is infused with creme de cassis to balance the rich acai flavour with the sweetness of blackcurrant liqueur. What: Mini gula melaka snowskin mooncake is the new flavour to watch out for. The sweetness of gula melaka is complemented with sea salt and coconut. What/Price: Mini snowskin white lotus paste with gula melaka and grated coconut ($60 before GST for a box of eight) is inspired by ondeh ondeh. Other new flavours include the premium sun-dried longan infused with red tea paste ($62 before GST for a box of four) and premium black dates with melon seed paste ($60.60 before GST for a box of four). What: The Chendol mooncake is made with red beans, coconut puree and gula melaka in a white chocolate filling with pandan chendol. There are also flavours such as orange with ginger, D24 durian with chocolate, black sesame almond and mango cream cheese. What: The Signature Bakkwa Mooncake is Bee Cheng Hiang's best-selling mooncake since it was launched in 2003. It is baked with melon seeds, nuts and orange peel and contains Bee Cheng Hiang's Gourmet Bakkwa. 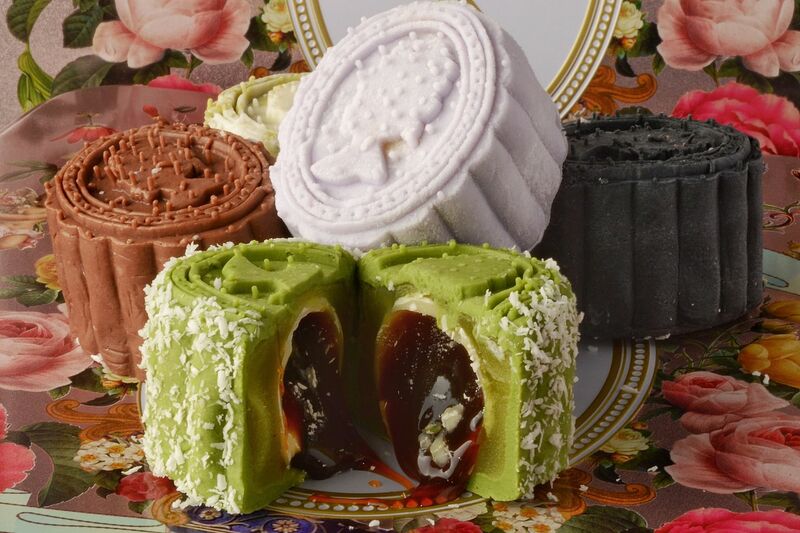 What: The Royal Collection of mooncakes include the pandan mooncake, beetroot gula melaka mooncake, charcoal tangerine red bean mooncake and osmanthus mooncake. What: White lotus paste with black sesame filling, pandan lotus paste with salted mung bean filling and white lotus paste with salted mung bean filling. Maltitol, a sugar alcohol, is used instead of cane sugar to make these mooncakes. What/Price: Hua Ting's low-sugar baked mooncakes include the trio of white lotus paste ($69 before GST for a box of four), white lotus paste with single yolk and macadamia nuts ($73 before GST for a box of four), white lotus paste with double yolk and macadamia nuts ($75 before GST for a box of four); and Seeds of Harmony (Assorted Nuts, $73 before GST for a box of four). For low-sugar mini snowskin moooncakes, try the salted egg custard ($69 before GST for a box of eight) and the blueberry with vintage hua diao wine ($69 before GST for a box of eight).